I always look forward to catching sea trout. 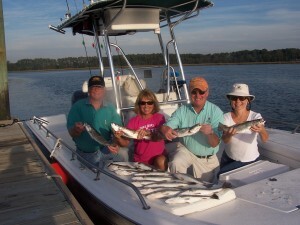 These fish not only put up a nice fight on light tackle, but are also great on the dinner table. 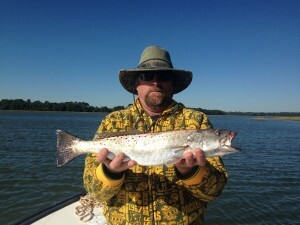 Here in Hilton Head we have a good trout fishery. Though we can catch them through out most of the year, the best times are in the spring and fall months. One of the nice things about fishing for trout (AKA specs) is that there are so many ways to catch em. My first choice is generally live bait, but I also use a combination of different lures from jigs to topwater poppers. They are also a great fish to go after with the fly rod! For the most part we find our trout around creek mouths, grass edges and oyster bars. These areas really fit trout well as they tend to be ambush predators. 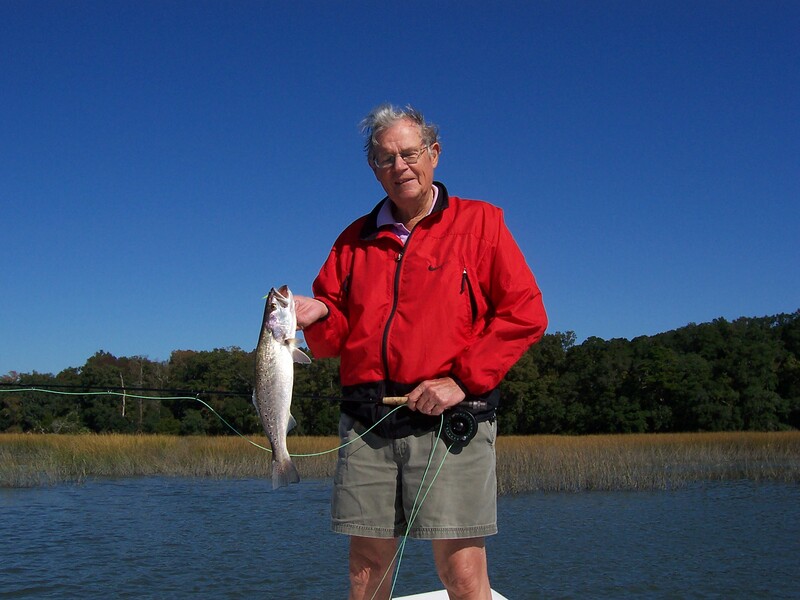 For example, you may find specks laying on the down current side of an oyster bar waiting for baitfish and shrimp to be forced over in the moving water. Once their pray tumbles over the bar they will jet out for a meal. Most people don’t realize that speckled sea trout are actually in the drum family along with redfish, black drum, whiting and croakers. Like other drum fish, specs are a schooling fish. Once we find them, we usually catch quite a few out of one spot. We also have another type of trout called a weakfish. I have caught a few of these fish on the inshore waters, but usually find them out around the offshore wrecks. For specs I like to down size my tackle a bit. I like 6-12 pound class medium action spinning rods and 6 wt fly fishing combos. Even the bait can be downsized. Though trout are veracious feeders, they have no problem taking a small bait or lure which in many cases increases our hook up ratios.